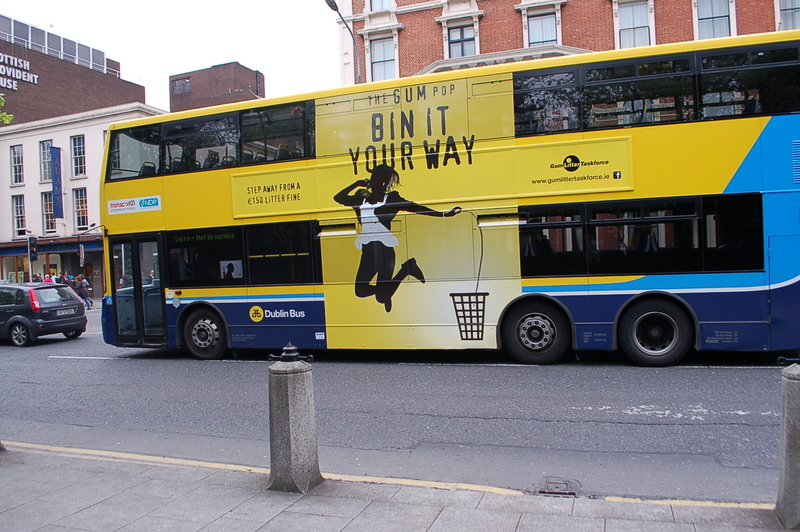 A Day in Dublin | Crappy Kitchen - Good Dinners! I remember when I was sixteen hitchhiking to Dublin with my friend Siobhan. We would tell our parents we were taking the train and then walk for the train station to the “Dublin road” and stick out our thumbs. I did this for years and it was a great way to get around. It cost nothing and we were not tied to train or bus schedules. That was Ireland thirty years ago, and unfortunately I wouldn’t recommend doing it today. On Wednesday myself and the family took a train to Dublin (read previous post on our lovely train trip) arriving safe and sound at ten in the morning ready for the very packed day I had planned. 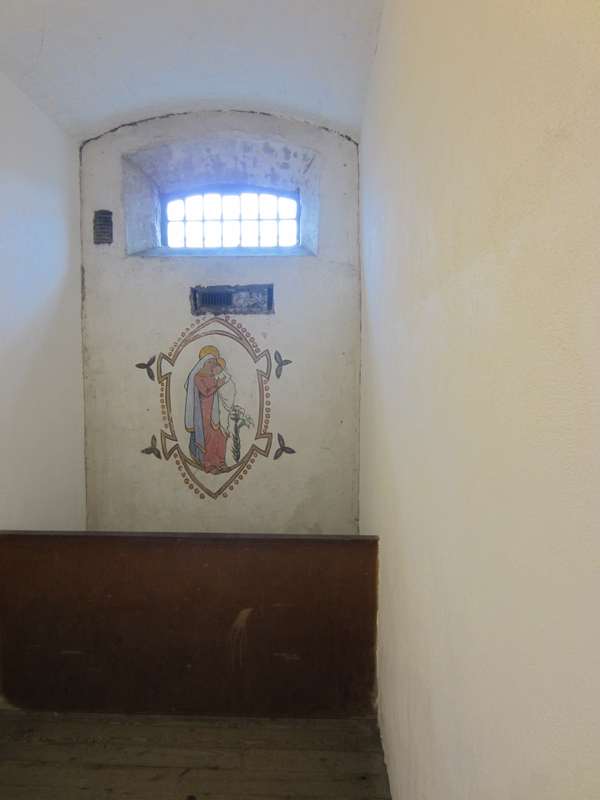 I wanted to see two very different things; a late 18th century gaol (jail), and a Caravaggio painting. 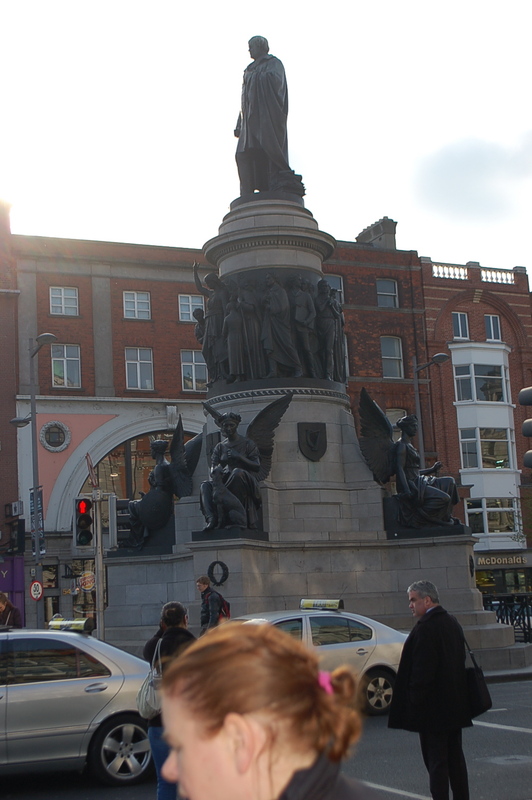 I had also worked in our lunch spot, a bookshop visit, and a detour through Stephan’s Green via Grafton Street. We had eight hours, and so, from O Connolly train station in Dublin we headed straight to Aston Quay by the river Liffey for our bus to Kilmainham Gaol! 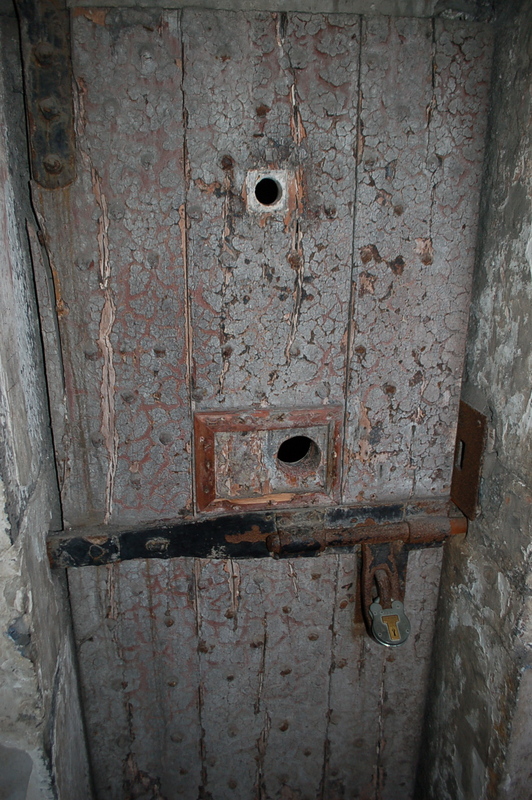 This gaol was completed in 1794 whose state-of-the-art design replaced the antiquated dungeon style jail that had been used for years. 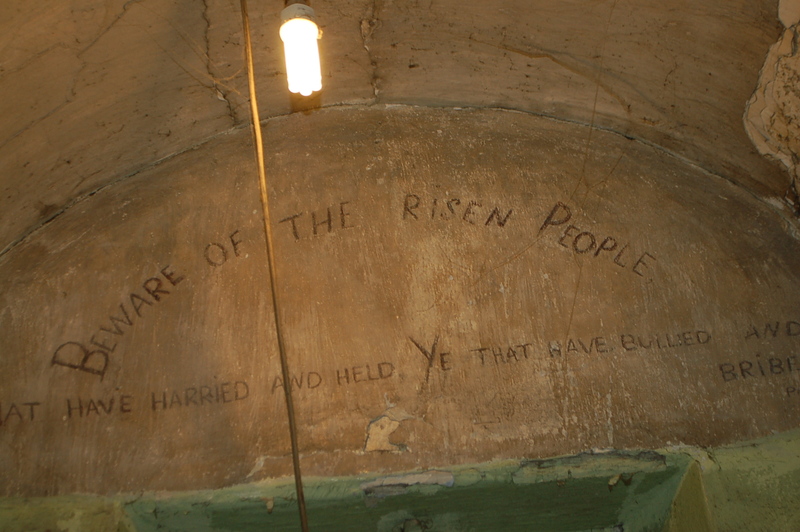 I was interested in seeing the jail not so much to learn about how the new system worked, but to see the cells and hear the story of the Irish rebel leaders from the early 20th century, who were imprisoned, and some executed, for the part they played in gaining independence from England. It was a bone-chilling place where the very lively and informative guide told us stories of the youngest prisoner being 5 years old, and a little boy of 10 being transported, along with a ship-full of convicts, to Australia, for stealing a cloak. We stood in the Stone Breakers Yard where five Irish Freedom fighters were shot, and toured the East Wing where many political prisoners were held. All very grim, but thought-provoking stuff, and a definite rude awakening for my nearly 11 and 13-year-old; no stealing cloaks for them! 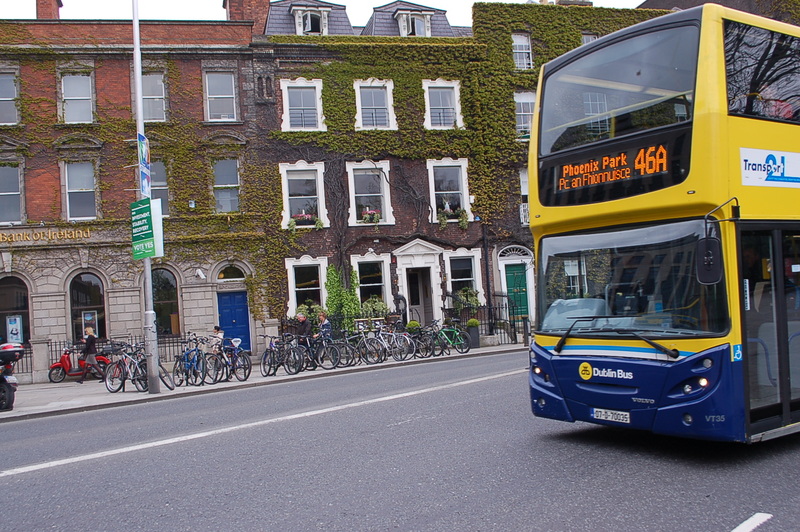 Then it was back onto the double-decker bus (rode on the top deck of course) to Exchequer Street to have lunch at Fallon & Byrne. I picked this place for a few a few reasons; it has a specialty gourmet food shop, a deli, and restaurant, complete with a wine cellar all under one roof. It was also the home of the old telephone exchange, built in 1898. The main floor was once a throng of telephone operators, while the wine cellar’s now trendy-looking giant metal columns housed the thousands of telephone wires and cables feeding the system. I also knew there was enough variety to satisfy all of our palates without burning a big hole in our pocket. The ground floor was buzzing with diners trying to grab something delicious to eat before it was back to work, and, the more packed it was, the more I enjoyed being there. I like noisy restaurants where I can get lost, and eat in crowded anonymity. 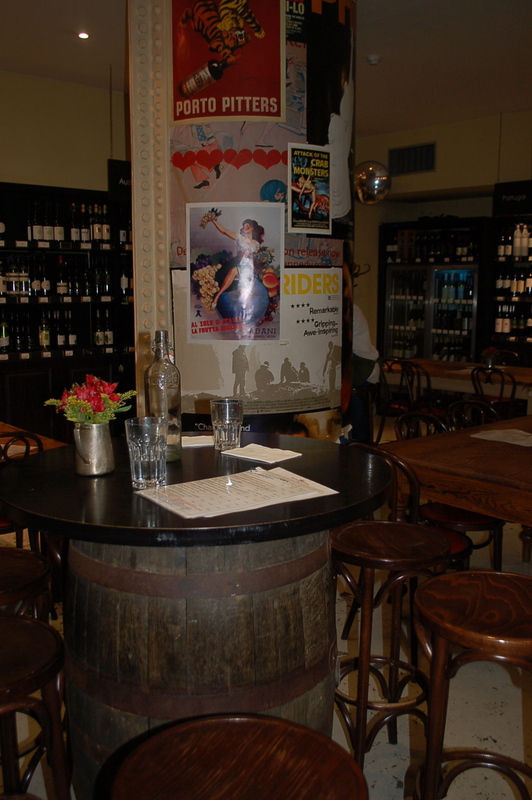 We decided to order from the massive choices at the deli counter and then take our food down to the wine cellar where we could eat comfortably and buy a bottle of wine from the huge selection lining the walls. 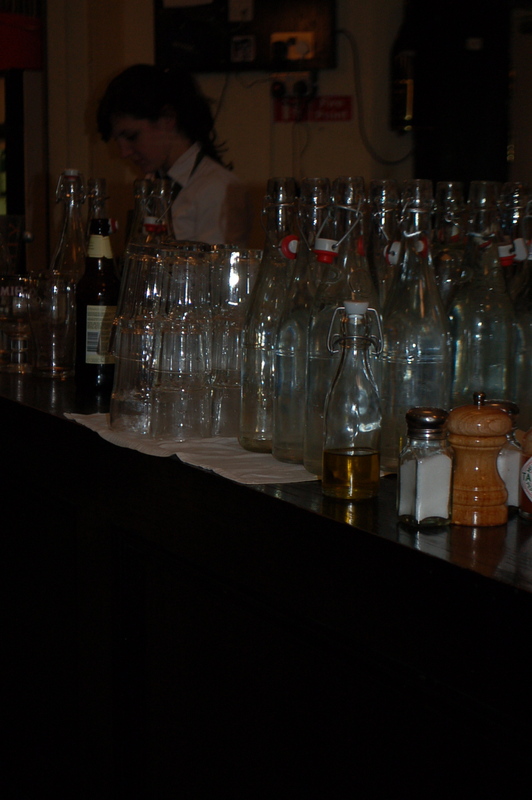 The atmosphere was warm and inviting, with an imposing long bar whose surface was neatly stacked with old-fashioned water bottles, glasses, condiments, fresh flowers and a variety of wine. The dining tables mimicked tasting tables, with a few high tables made from wooden barrels dotted in between. It was pretty packed but we managed to grab a high table and settled into the business of eating and drinking. There is nothing more satisfying than a good lunch, washed down by wine, after a tour of a depressing prison! 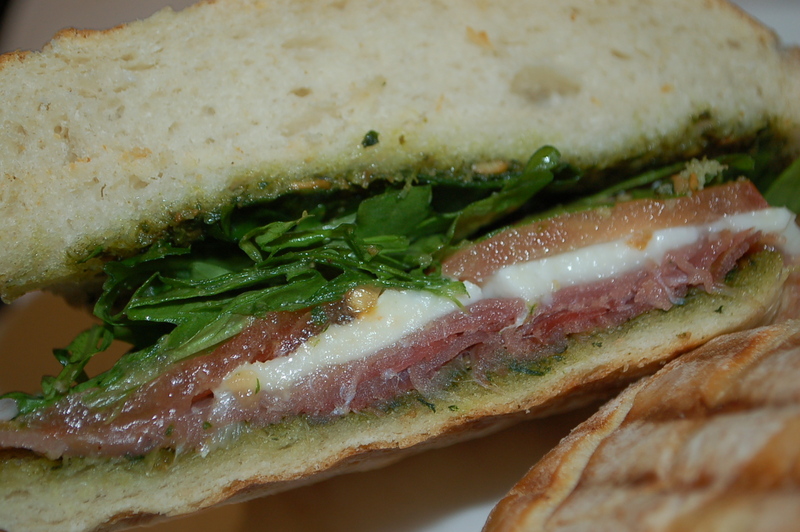 The food was good, but the wine was better (from Puglia, Italy), and I was glum when my last sip was drained. I left Fallon & Byrne (not before hearing a story about the haunted elevator by one of the friendly bar staff), ready for our convoluted walk to our next destination, the National Gallery of Ireland, where The Taking Of Christ by Caravaggio awaited. I was compelled to see this because having just left Italy (where we had been for 3 months – see past posts for more stories about my experiences), my brain was saturated with all things Italian, and I needed to prolong my connection, my love affair with the things that had imprinted themselves on me forever. 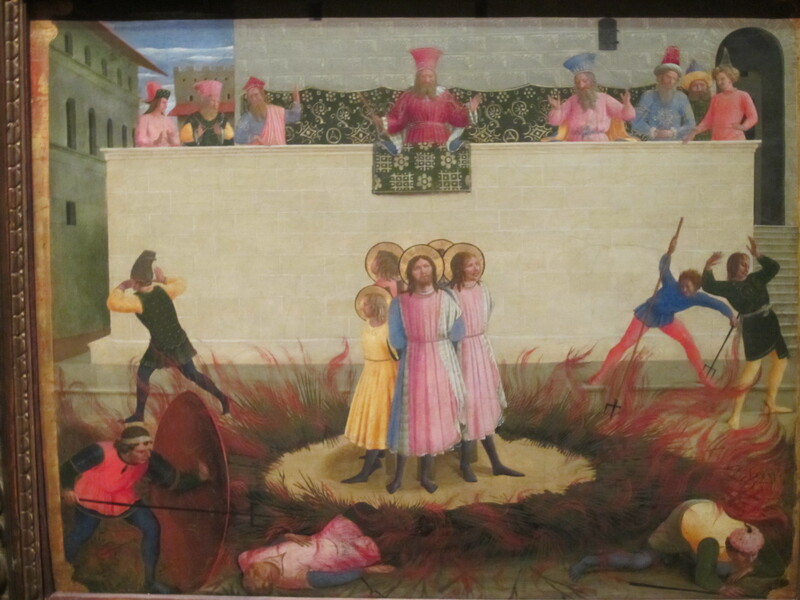 The other reason I dragged my family across Dublin city to see one painting was to say a roundabout “hello” to my friend Danielle, who is back in Italy, and is an Art Historian who has a professional and deeply personal interest in the painter. Our walk took us up the busy and cosmopolitan Grafton street where my daughter insisted on giving a very mediocre busker a euro for her lacklustre singing. 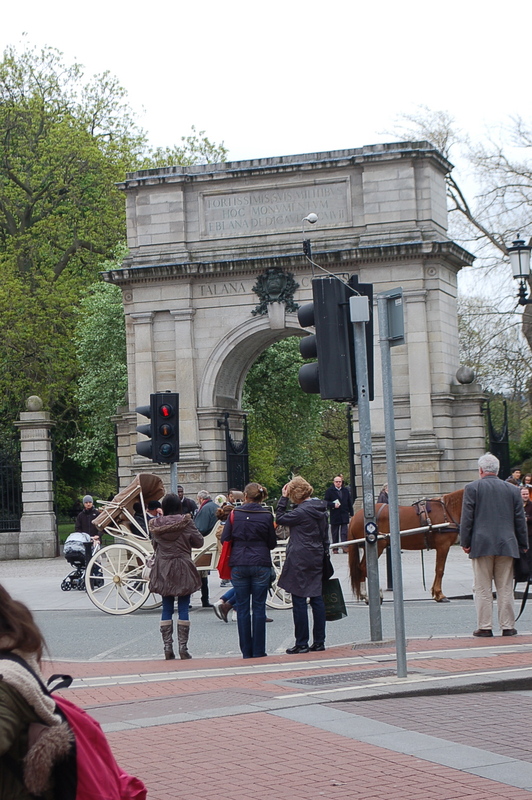 We entered St. Stephan’s Green through the grand Fusiliers Arch following a path towards Merrion Square. 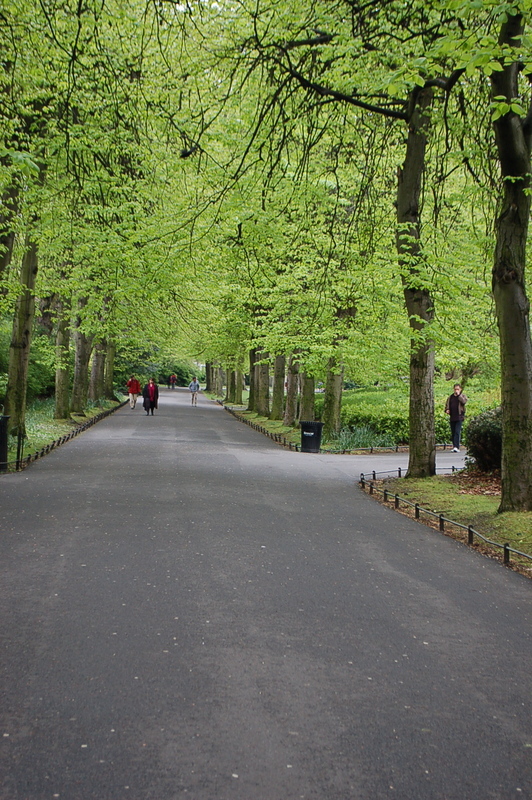 Stephens Green (as it is more commonly known) is a public park, impeccably maintained, lined with lime trees and immaculate flower gardens, and fountains. 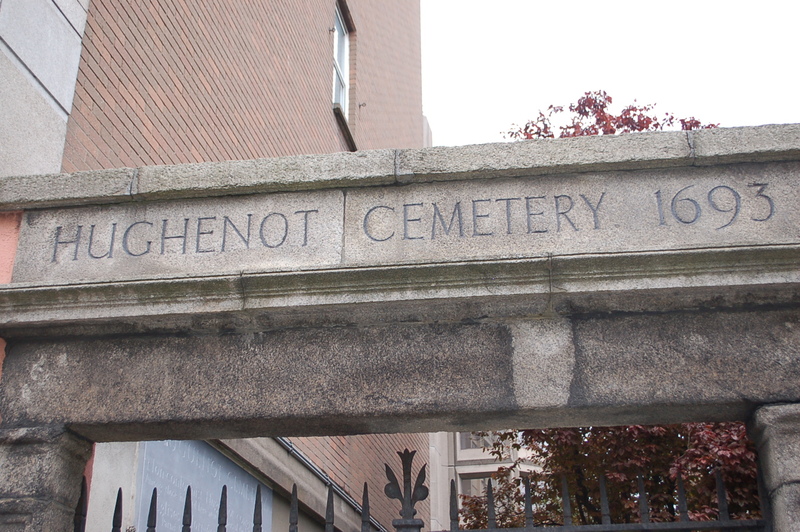 It has been a place of respite from the busy city, within the city, since 1880 and on every visit I make to Dublin, I try to step inside the gates if even for a few moments. It is an endlessly cheerful distraction from the noisy and bustling streets. When we left the park Dave spotted and old gated Hughenot cemetery, which was a reminder of another friend I left behind in Italy, (odd, but one of his specialties is Death). I managed to take a few pictures for him by standing on a street bench and lifting my camera above the high wrought-iron fence before strolling on. 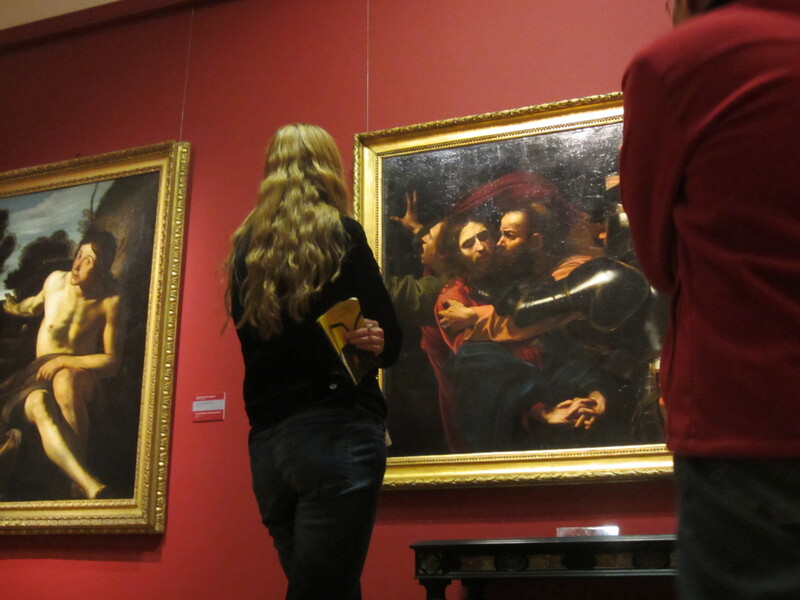 The Caravaggio painting was so beautiful, and I was completely content to stand in front of it for as long as I could and recall what I had learned about this master, and smile when I thought about my time in Italy. The jail, lunch and painting were neatly ticked off of my list and then we stopped at a bookshop where I was in dire need of a peruse, before heading for a last cup of tea (and a glass of wine) at the famous Bewley’s cafe on Grafton. I’m not one for patronizing tourist-traps but I wanted the kids to have tea in Bewley’s at least once in their lifetime. I must say, it was not as tacky as I thought it might have become over the years. 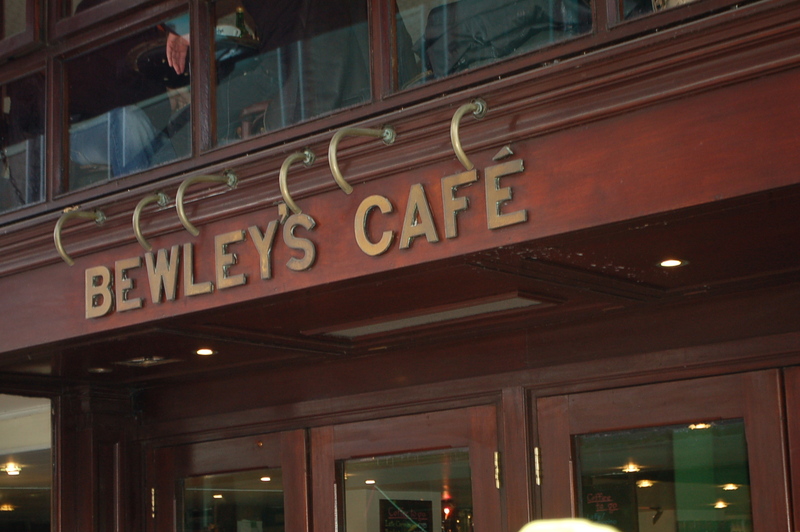 Bewleys opened it’s doors in 1927 and has been humming along ever since. 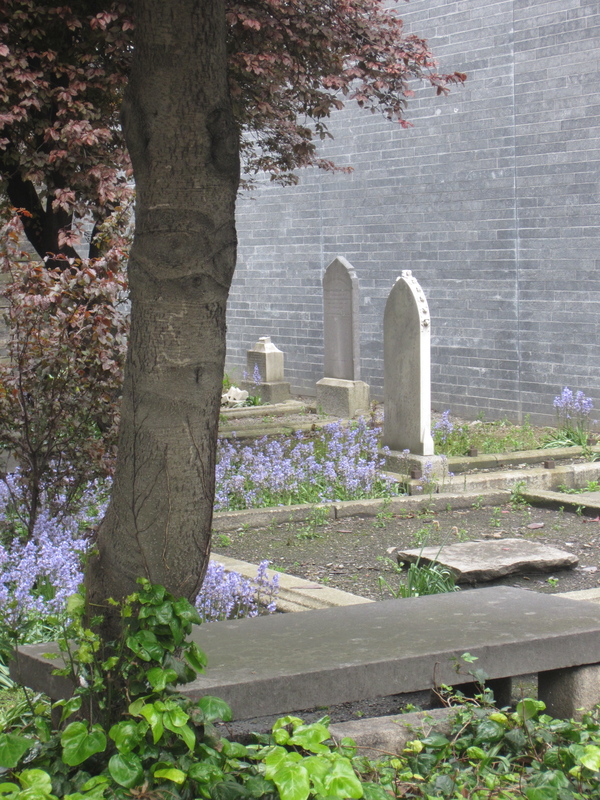 The Bewley’s were a Quaker family from France and were the first real tea merchants to bring tea into Ireland in a big way (2,099 chests from China to be exact) in around 1834. 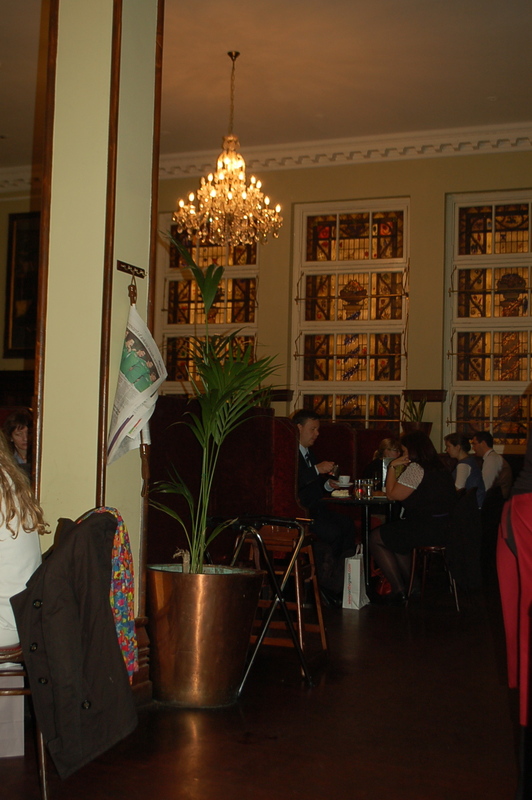 This is the largest cafe in Ireland and it’s interior is pretty magnificent. It was built in the style of the grand Parisian cafes of the day, with added oriental touches (partly inspired by Tutankhamen’s Tomb). The most spectacular feature are the six stained glass windows commissioned from the renowned artist Harry Clarke. 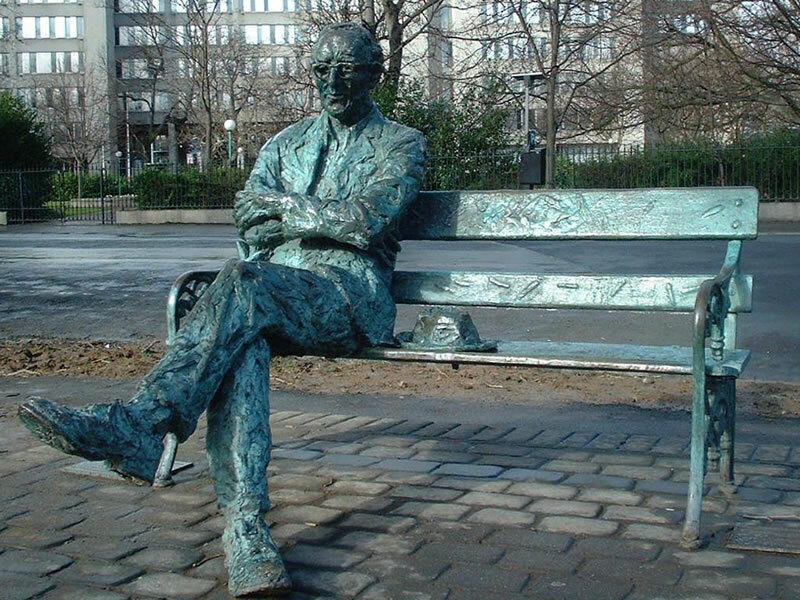 It became the center of the literary, cultural and artistic scene in Dublin, with James Joyce, poet Patrick Kavanagh (one of my favorites), and Samuel Beckett being some of it’s clientele. It also became a handy meeting point for me years ago when in Dublin and needed to arrange to meet friends beforehand (no cell phones then!). Upon opening the doors on Wednesday last I got that familiar smell of coffee beans mixed with the sweet smell of cakes and pastries. We sat in view of the stained glass windows, and it felt very homey and familiar. It was also as busy as ever, and we ate our treats amid the din of trays rattling and boisterous conversations. The last part of out trip was a bit stressful as we misjudged the walk back to catch the last train at 6.30pm, and it turned into a frantic run, resulting in us jumping onto the train ten seconds before the doors closed. 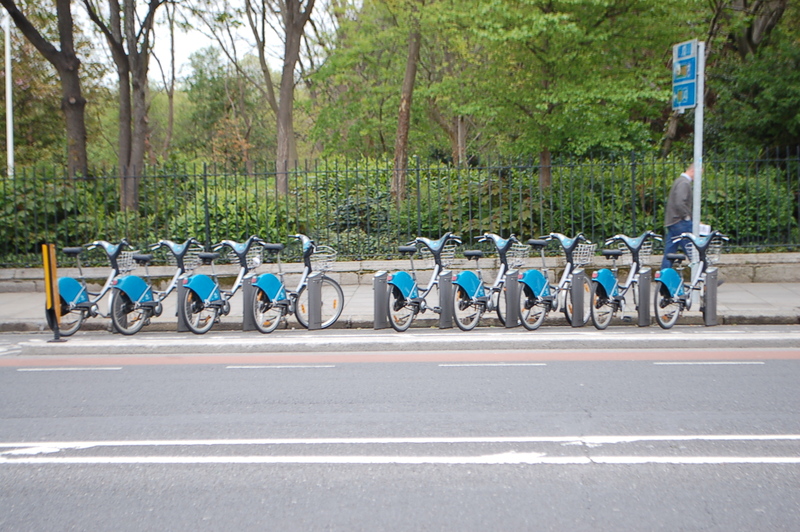 Despite the mad rush at the end, it was close to a perfect day in lovely Dublin AND, it didn’t rain once. 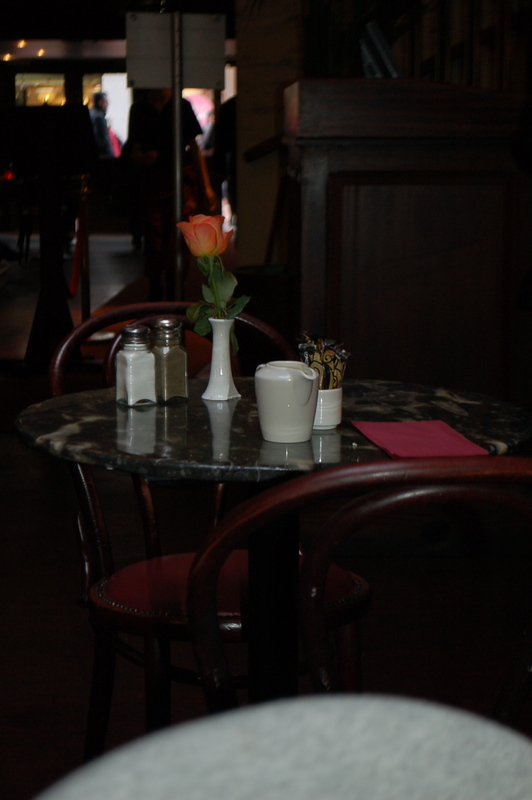 This entry was posted in dinners, Ireland and tagged bewley's cafe, caravaggio, dublin, dublinbikes, fallon & byrne, Ireland, kilmainham jail, national gallery ireland, stephan's green. Bookmark the permalink. Makes me want to go home, and that’s all I have to say about that !